Hello! 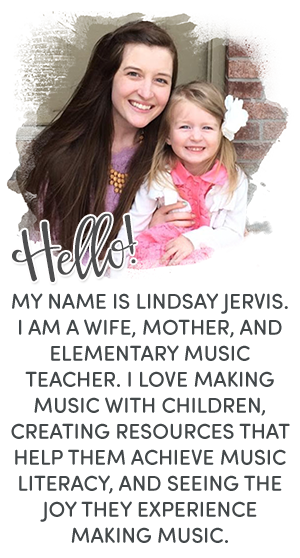 My name is Mia Nightingale and I teach K-5 music in Wichita, Kansas. This month begins my 4th year teaching. I am blessed to have been hired right after student teaching at the school where I student taught. 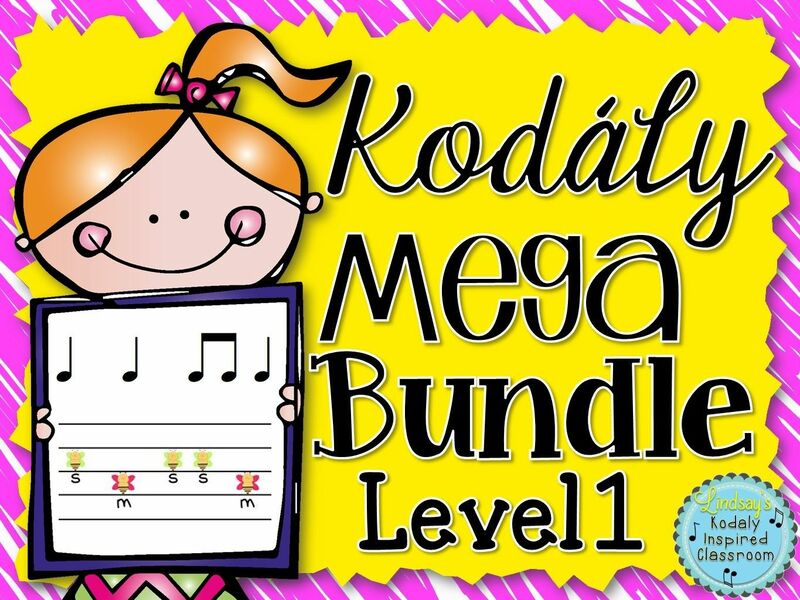 I completed my Kodaly certification just this last summer from Wichita State University along with Lindsay. 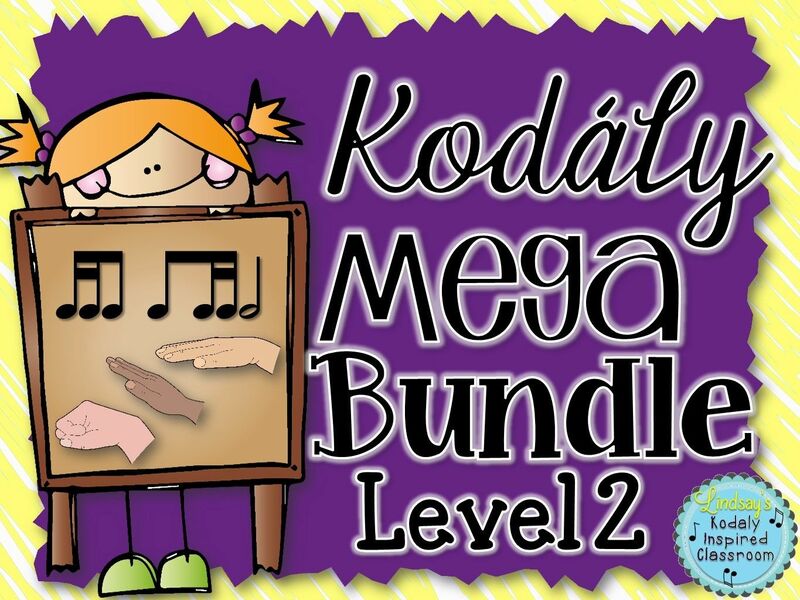 My Kodaly teachers (Mrs. Jo, Lisa Simmelink, Susan and Royce Tevis, Gabor Viragh, and Shawn Chastain) are my biggest inspiration and I can undoubtedly say I am pretty much obsessed with each of them. 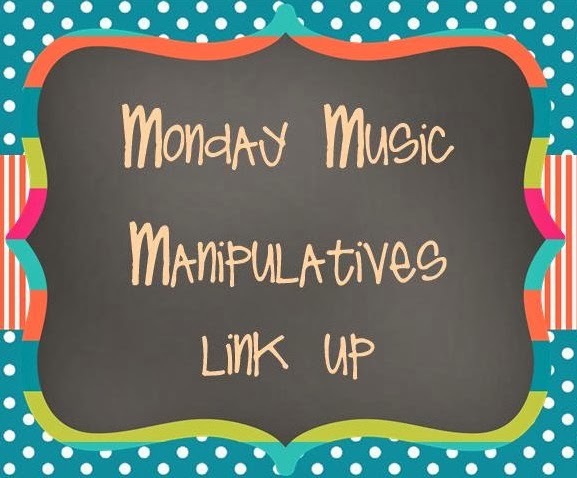 Today I am blogging about a couple manipulatives I used last week for 1st/2nd grade rhythmic and melodic dictation. 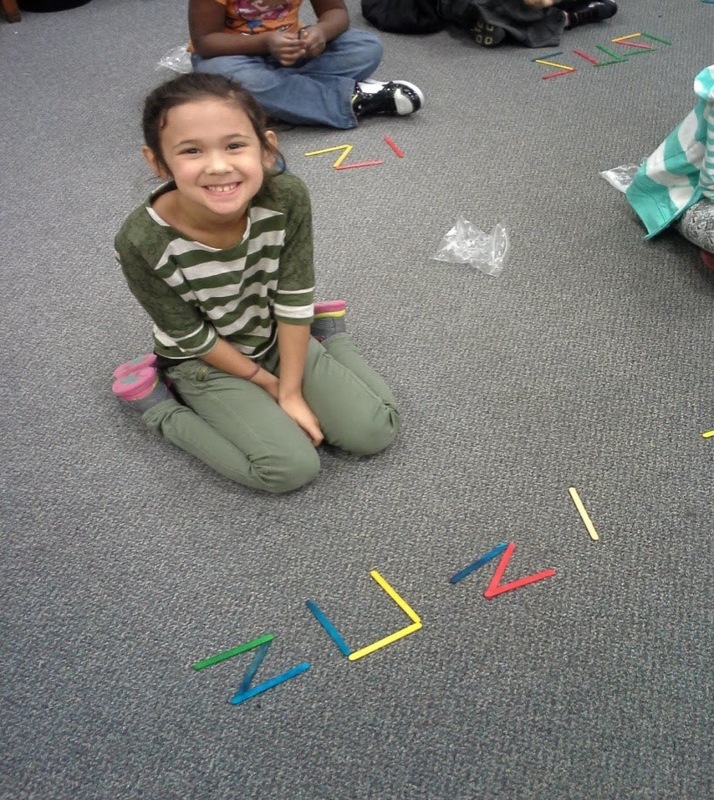 For rhythmic dictation: Each student had a plastic baggie with 12 colorful Popsicle sticks. 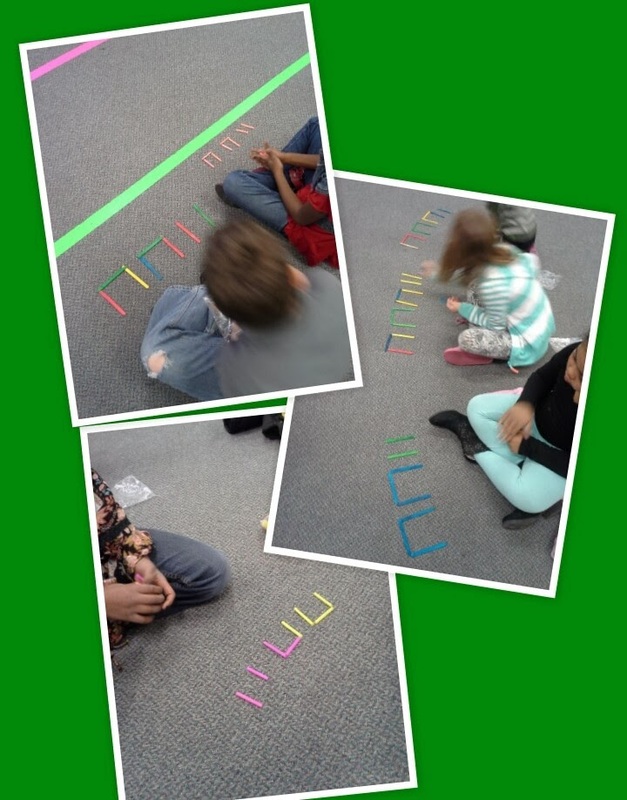 I played 4 beat patterns with rhythm sticks this week using the rhythms ta titi and ta rest. The students form the rhythms with the sticks. The first time I ever do this, I do have them “figure out with me” how we can make the ta titi and ta rest (trickiest) with the sticks. It is important for me to mention that when I play the pattern, I say “beat, beat, ready here I go” or simply “beat, beat, beat, beat” and move my sticks from their left to right with each beat as I play for visual aid. By the way, you don’t have to just use popsicle sticks. I have also made a set of cut up colorful straws that I used this week, too, that work almost better than popsicle sticks because they are smaller and take up less room. 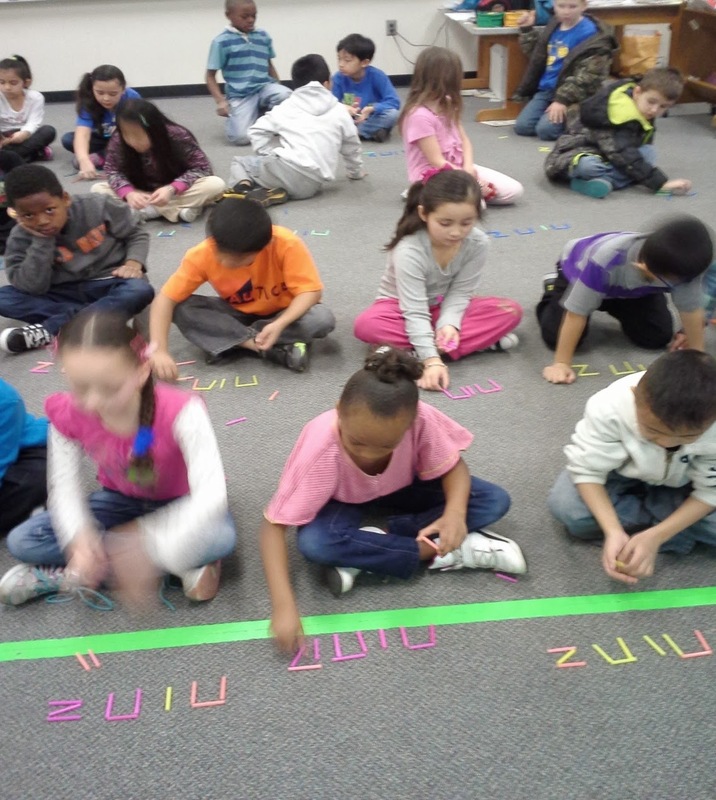 For melodic dictation: I have laminated staff paper (lined on one side – blank on the back) and use small colorful “chips” that the students place on the staff. (I got these chips from the Instructional Support Center downtown). I start with 4 chips each, and eventually will use up to 8 each. What I do not have pictured here is my smartboard where I have projected my own staff paper. I always do the first couple with them. Also on my staff paper that is being projected, I draw the do clef and sometimes change where do will be this time. I sing or play the melody being dictated. 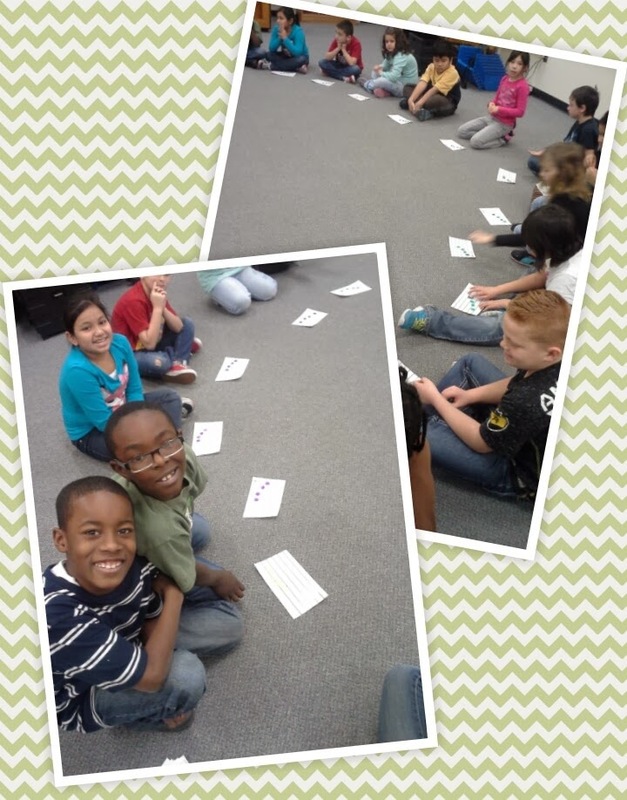 The first time we ever do melodic dictation, I sing in solfege the first couple of times. 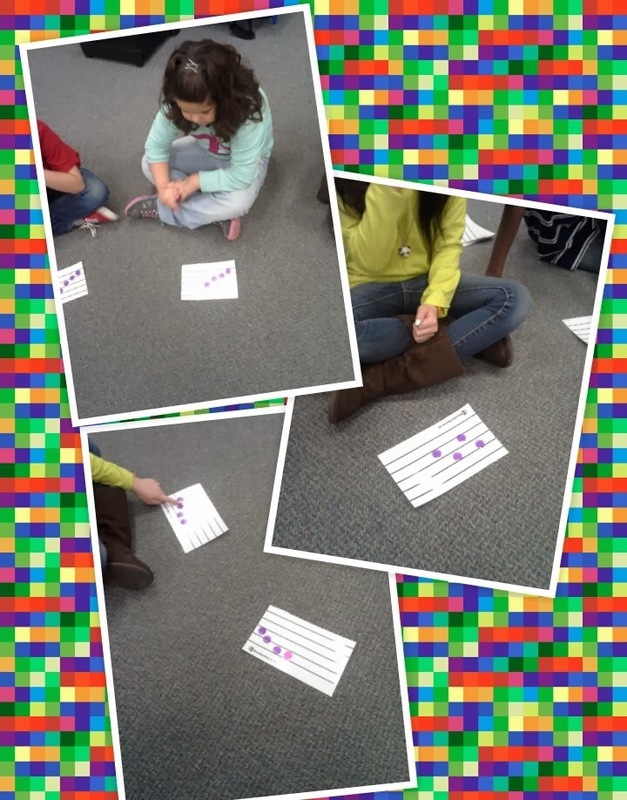 Then I use a glockenspiel to give them a visual aid. When I know they’re ready, I sing melody on “loo” or play at piano. Also, after a couple weeks of doing dictation with the colorful “chips”, I pass out dry erase markers and they can use those instead to draw their own noteheads and add stems. After everyone has marked their answer, they help me do mine that is being projected on the smartboard. Trying to understand a young child’s handwriting / music notation writing skills can be quite the challenge. I have found that using these manipulatives can give a clearer assessment of what the student understands and hears before having them write it down. Feel free to comment below with any questions or suggestions you might have for me! 2. 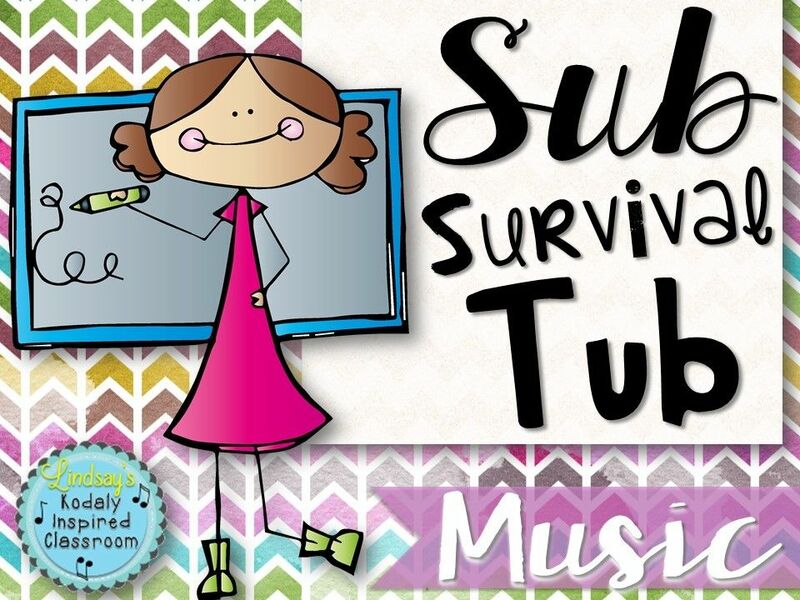 Add your link below so that other music teachers can find you! 3. Don't forget to pin to pinterest so people find it! We are human being, so we are involved in social activates .In every part of world. The life of the man is full of emotion. So if we want to express our real emotion we have to love Music. Streaming of the music in every corner in the world has increased day by day. It does not be ignored that there is no man in the world who do not sing a song.